Dr Nicolas Bonne dreamed of exploring Galaxies ever since he was a little boy watching stairs from his home in Australia. He chose to pursue a career in astronomy when he was only 5 years old and is currently leading a project in the UK that lets blind and visually impaired people ‘feel’ the universe. With it, he hopes to encourage more young people to study astrophysics. But studying such a visual science was not always easy for Dr Bonne who’s been visually impaired since birth. Fortunately today visually impaired people can access technology that makes learning astronomy more accessible. 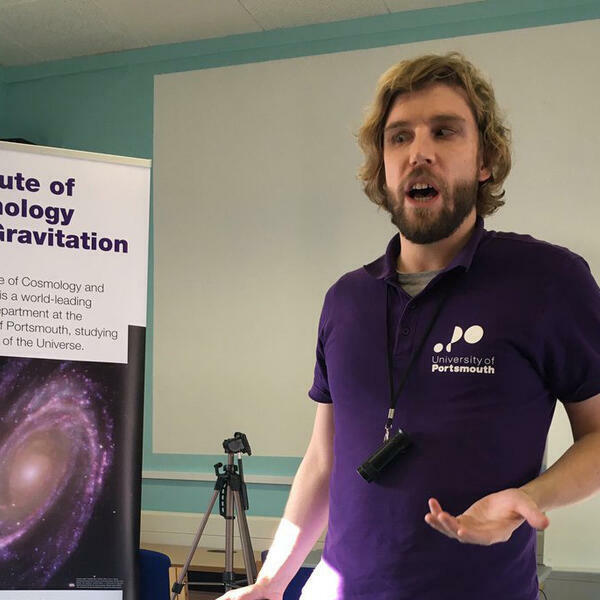 Dr Bonne caught up with RNIB Connect Radio’s Simon Pauley to tell us more about how technology changed over the years and what that means for future VI astronomers.